15/2/2019 - At Plástico Brasil, to be held from 25 to 29 March 2019 in São Paulo, Brazil, Arburg will be presenting a selection from its wide product range for production-efficient plastic parts production at stand I106. Two out of the three exhibits are automated. 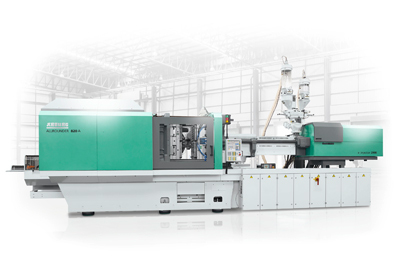 The products on show range from a hydraulic entry-level machine for technical injection moulding to a high-performance Allrounder for rapid high-volume production of IML packaging. In addition, a flexible production cell will demonstrate how ready-to-use toy tops can be economically manufactured by combining several work steps. "In Brazil, economical hydraulic injection moulding machines for technical injection moulding are just as much in demand as efficient automation and high-speed machines for the packaging industry and medical technology", says Alfredo Fuentes, Managing Director of Arburg Ltda. in Brazil. "At Plástico Brasil 2019, we will be exhibiting three production-efficient applications that we have implemented with partners from the areas of mould manufacturing, automation and peripherals in Europe and South America." Arburg offers a comprehensive package of reliable application technology consulting services and production-efficient machine technology for the high-quality mass production of packaging items. The "Packaging" versions (P) of the Alldrive and Hidrive series of high-performance electric and hybrid machines ensure precision and short cycle times. At Plástico Brasil 2019, one of these hybrid Allrounders 720 H (P) with a clamping force of 2,900 kN will prove its capabilities in a high-speed in-mould labelling application. Equipped with a hot runner mould from Brazilian company RK Ferramentaria, it produces six 250-millilitre PP tubs in a cycle time of around five seconds. Each moulded part weighs 13 grams. Automation systems provided by partner company Campetella handle the insertion of IML labels from Verstraete into the mould as well as stacking the finished IML tubs onto a conveyor belt. Arburg and its partner Herrmann Ultraschall will present an example of how small batch sizes and frequently changing products can be produced in an efficient automated process. All handling is performed by a Kuka six-axis robot. The application combines several process steps, significantly reducing transport, storage and personnel costs. A hydraulic Allrounder 320 C from the entry-level Golden Edition series, with 500 kN of clamping force and a 1+1-cavity mould from Hauff, initially produces the two halves of a toy top made from PS. The cycle time is around 25 seconds. The six-axis robot removes the moulded parts from the mould and transfers them to the next station, where the two halves are welded together inline using ultrasound. The ready-to-use spinning tops are finally placed on a conveyor belt. The third exhibit at Plástico Brasil 2019 demonstrates yet another economical solution for technical injection moulding: A hydraulic Allrounder 470 C Golden Edition with a clamping force of 1,500 kN produces eight technical moulded parts (specula) from PS for use in gynecology. The cycle time is around 20 seconds, the weight of one part is 12 grams. An 8-cavity hot runner mould from Brazilian partner Artis Matriz will be used in this application. The German family-owned company Arburg is one of the world's leading manufacturers of plastic processing machines. The product portfolio encompasses Allrounder injection moulding machines with clamping forces of between 125 and 6,500 kN, the Freeformer for industrial additive manufacturing and robotic systems, customer- and industry-specific turnkey solutions and further peripheral equipment. Arburg is represented by fully owned organisations at 33 locations in 25 countries and by trading partners in more than 50 countries. Its machines are produced exclusively at the parent company in Lossburg, Germany. Of a total of roughly 3,000 employees, around 2,500 work in Germany. About 500 further employees work in Arburg's organisations around the world. In 2012, Arburg became one of the first companies to gain triple certification: ISO 9001 (quality), ISO 14001 (environment) and ISO 50001 (energy).